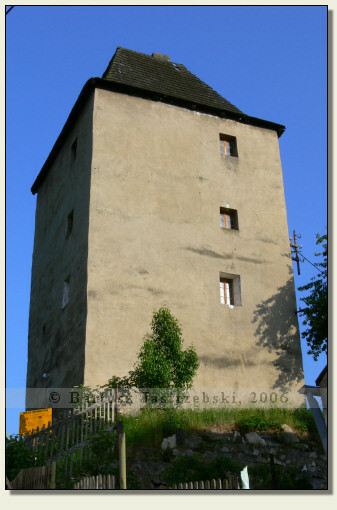 Admission: In 2006 entry to the tower was impossible since its conservation lasted. Besides, the tower is a private property. Driving from Kłodzko along the road no 33 to Bystrzyca Kłodzka and border checkpoint in Boboszów you cross Żelazno. There right before the bridge you ought to turn right for Krosnowice and then a tower will be visible on the hill on the left side. 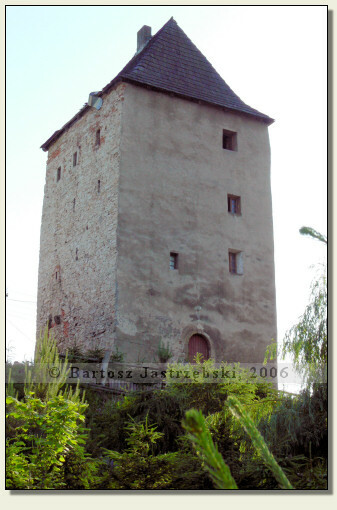 A tower in Żelazno arose probably at the end of the XVth cent., but we do not know anything about its builder. It was subsequently reconstructed in 1727. 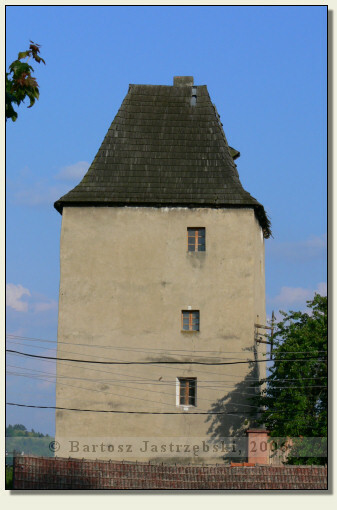 There is a hypothesis which says that current windows were target ranges originally, so the tower did not fulfill a residential function.